This premier FTDI chipset based USB to Dual Serial Converter, is a high performance device. 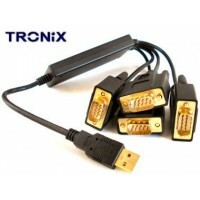 It operates as a bridge and provides single and easy connection between one USB port and two serial devices. The FTDI USB to 2X Serial Adaptor is the perfect way to connect serial devices to laptops or PCs with no serial ports. Many new laptops and PCs have at the most, one serial port. This is a problem when you have multiple devices with serial connectors! What happens when you have a PICC Board and a Serial Programmer that you want to connect at the same time? This FTDI USB to Dual Serial Converter is the answer to that problem. Each serial port can be independently configured with various synchronous and asynchronous interfaces. 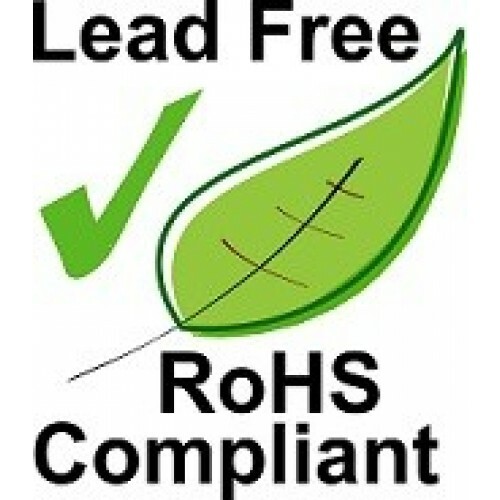 Users can have the option to operate both serial ports at the same time. 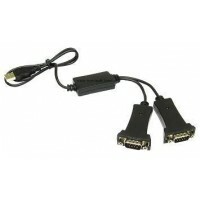 This FTDI Dual Serial USB adapter provides 2 x 9 pin RS232 serial ports which can be used with PDAs, Mobile Phones, GPS, Digital Cameras, Modems, ISDN Terminal Adapters, serial mice. Over 1Mbps transfer rate per port. Data buffers for upstream and downstream on each port. Supports remote wake-up and power management. Installed as a standard Windows COM ports, Full RS232 modem control signals, RS-232 data signals; TxD, RxD, RTS, CTS, DSR, DTR, DCD, RI, GND. This device is guaranteed to work with all the latest Windows operating systems including 64 Bit editions with ease. No messing around or driver issues as it uses a high quality premium FTDI chip unlike many other USB to Serial adapters found on the market. Unlike lower cost devices, this device has COM port retention and WHQL qualified drivers upto Windows 10! 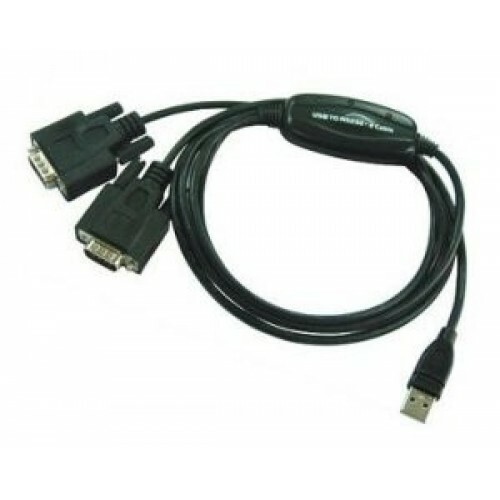 This Prolific based USB to Dual Port Serial Adapter Cable, is a affordable, high quality device ..
*** Our No.1 4 Port USB RS232 Quad Best Seller *** We will beat / price match any similar FTDI ..